Products – Global Animal Products, Inc.
of organic trace mineral compounds for food-producing livestock, horses, and companion animals. ZINMET® is an organic Zinc trace mineral supplement in which Zinc and Methionine are complexed through chelation to form a highly bioavailable and essential source of supplementation required to support many biological functions. Beef cattle, dairy cattle, poultry and swine. Also well-suited for horses, aquaculture and companion animals. extruded, mash, and finished feeds. LIQUITRACE® is a fully customizable liquid trace mineral supplement line that can include any of the Global Animal Products’s organic trace minerals to provide a complete blend for our customer’s needs. LT4® is a mineral supplement formula containing the combination of zinc, manganese, copper, and cobalt. LT4® provides a full trace mineral supplementation in a liquid form that brings advantages like no dust, no bags, and ensuring better dispersion throughout the feed while not taking up any valuable micro bin space in the feed mill. Ruminant livestock, equine, and companion animals. CAUTION – Contains Copper (Cu). Do not feed to sheep or related species. Only used in liquid form. We believe that producing a safe, wholesome product is critical. It is such an important part of our company culture that we have developed a vertically integrated system that starts at manufacturing, progresses to feed delivery and finishes at ongoing customer service. facility by our dedicated employees. Our fleet of bulk delivery trucks are solely dedicated to transporting all of our products directly to our domestic customers. Our own dedicated service team does it all. We design, install and maintain all equipment at our customer locations and provide on-going monitoring of all application equipment. 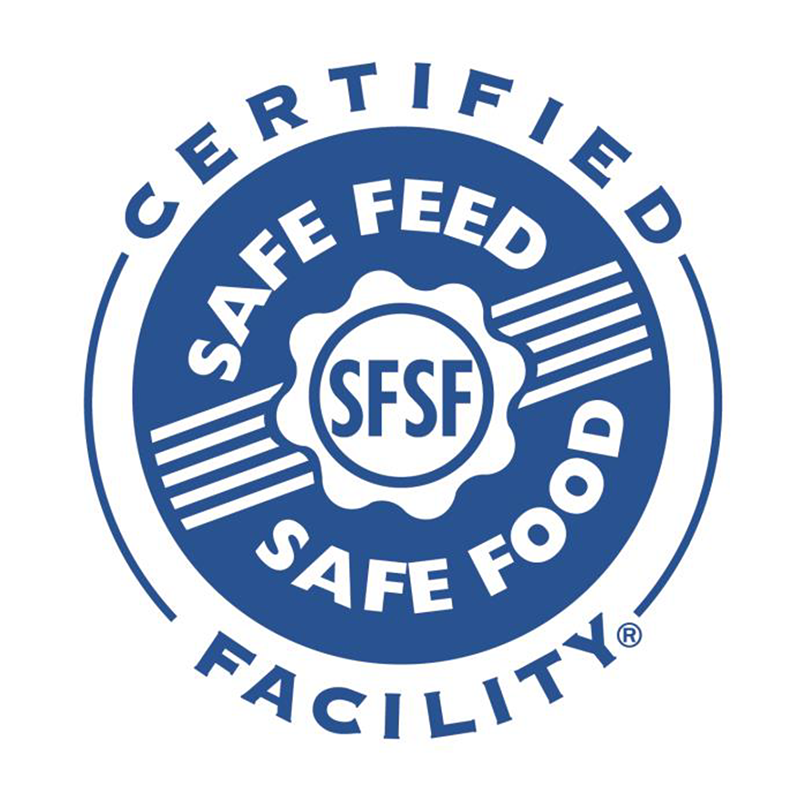 In 2012, we became Safe Feed / Safe Food certified by the American Feed Industry Association (AFIA) certification program to reach our first certification milestone in feed safety. With the onset on Food Safety Modernization Act (FSMA), we have once again forged ahead in becoming compliant in readiness and also in preparedness by training multiple employees through the Food Safety Preventative Controls Alliance (FSPCA) to obtain their Preventive Controls Qualified Individual (PCQI) certifications. At Global Animal Products, feed safety is extremely important and we are dedicated to producing wholesome products. © Global Animal Products. All Rights Reserved.